Carnival Magic has been forced to cancel the scheduled port of call at George Town, Grand Cayman due to bad weather. Instead, the cruise line offered an alternative cruise destination. 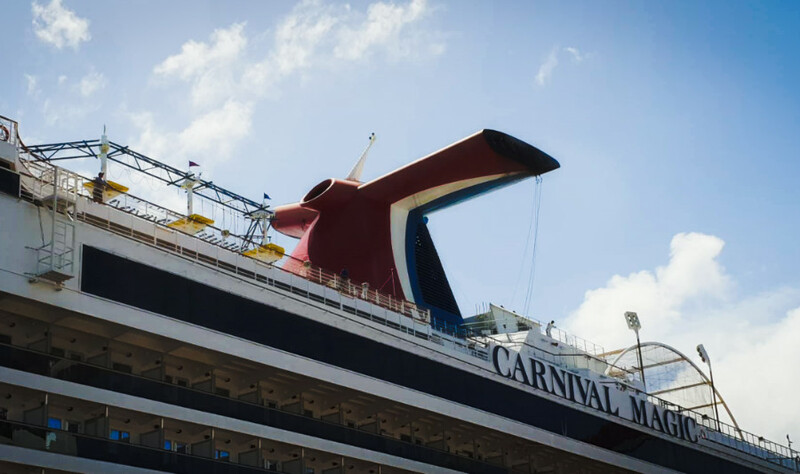 Carnival Magic needed to cancel the scheduled call at Grand Cayman on November 16 due to bad weather conditions. Grand Cayman is a tender port where passengers need to use a water shuttle to and from the ship, if sea conditions aren’t good this can impact the safety of guests. Carnival Cruise Line sailed to the popular western Caribbean cruise destination of Cozumel, Mexico instead. Any pre-booked shore excursions for the Cayman Islands which were booked through the cruise line will no doubt be refunded. Unfortunately, mother nature does strike and when it comes to tendering ports it can be common to skip a port of call. There is a push for a major port at George Town so ships can dock but protecting the local coral reefs and natural environment has been questioned. We’ll just have to see how developments go on that front. The Carnival ship is coming to the end of a 7-night western Caribbean cruise which departed Miami, Florida on November 11. The Dream-class vessel is now heading back towards her homeport with a scheduled arrival on Sunday morning. The next voyage will be an eastern Caribbean itinerary departing on November 18 from PortMiami. Carnival Magic is 130,000 gross tons with a guest capacity of over 3,600 at double occupancy.